Phasor Energy Company, Inc. was established in 1994 to promote the wise use of energy. We offer a range of engineering and consulting services encompassing the entire life span of a project from conceptual planning, through design and engineering, project management, installation, startup testing, data collection, analysis, performance evaluation and reporting. Project sizes range from small systems of a few hundred watts up to utility-scale projects at the hundreds of kilowatts or megawatt level. Phasor can provide turnkey photovoltaic systems of any size through teaming arrangements with licensed contractors. Clients have included electric utilities, government agencies, PV hardware manufacturers and private individuals. 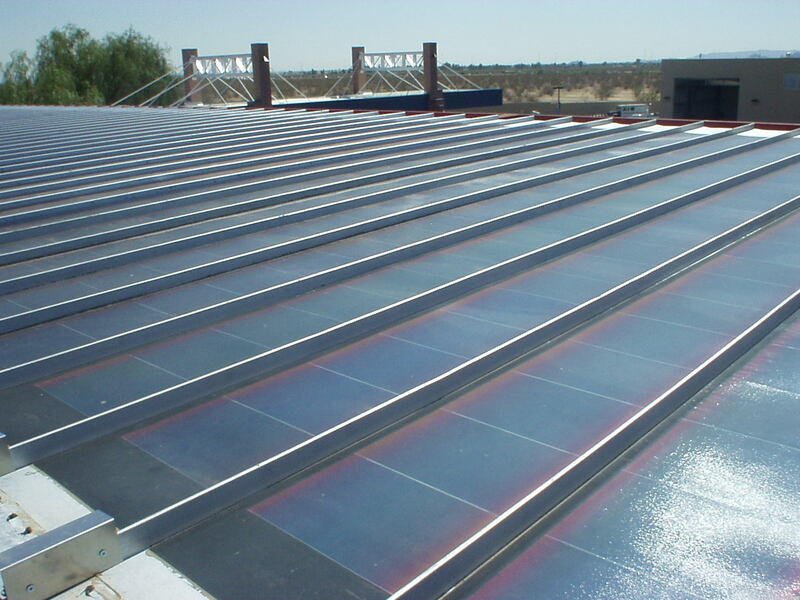 Here is a small portion of a photovoltaic array we installed in Scottsdale, Arizona.